Westport's 323 Bar had a cocktail named "The Tuskegee Experiment" in mid-August, but as of Aug. 17 had removed the Tuskegee cocktail from the Specialty Cocktails menu. This week the restaurant is closed. WESTPORT — A restaurant that made headlines this summer for selling an offensive cocktail closed suddenly this week, after their landlord said they failed to pay rent. “It was typical nonpayment of rent and mismanagement. It was long enough. They were evicted,” said Dominic Santella, landlord of 323 Main Street. Santella went through the court system to evict Adam Faillace, the owner of 323 Main Street restaurant, and on Tuesday morning, a state marshal locked the doors of the establishment, Santella said. Santella, a Darien resident who grew up in Westport, also owns the shopping plaza next to 323. Opened in 2013, 323 Main Street was home to a bar, dining area and, on many nights, live music featuring performers such as Westporter Greg Wall, otherwise known as the Jazz Rabbi. “It was a matter of time. It wasn’t run very well, which is too bad. It’s a wonderful location and I’m hoping someone will run a nice place there,” Wall said. After 323 came under fire in August for listing a cocktail called “The Tuskegee Experiment” on its menu, Wall and his bandmates stopped playing their usual Thursday night gig and moved the event to the Pearl at Longshore. “When it blew up, all they had to do was apologize. But they denied it and came up with lame excuses and when it was clear they weren’t going to apologize we stopped playing,” Wall said. The name Tuskegee Experiment refers to the U.S. government’s 40-year medical experiment that left hundreds of African-American men with syphilis untreated, so scientists could study the progression of the disease. The study began in 1932 in collaboration with Tuskegee University, a historically black college in Alabama. 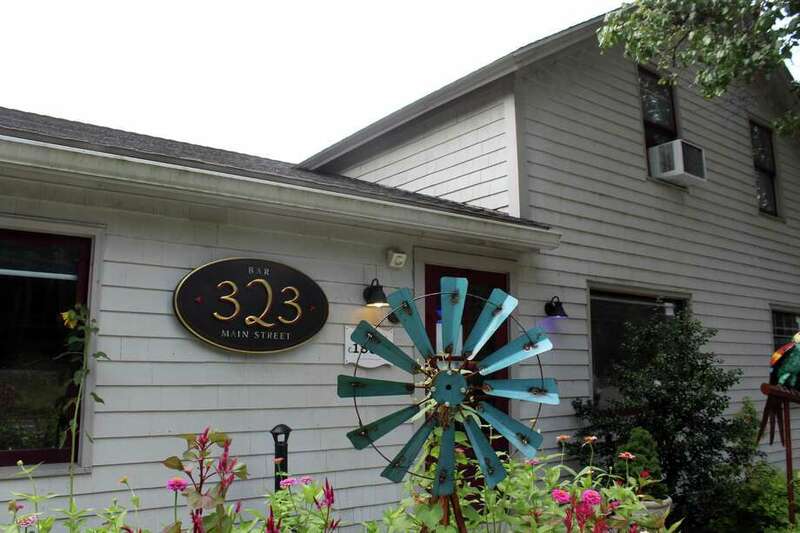 Many of 323’s performers only found out about the restaurant’s closure after the eviction. “Sorry to report to you all that the last two Blue Wednesday Parties scheduled at 323 on Dec. 5 and Dec. 19 are cancelled. The Bar/Restaurant has CLOSED. We only found out this afternoon,” Ellen Naftalin, wife of blues performer Mark Naftalin, posted on her Facebook page on Dec. 4. Santella said he is looking for a new tenant for the property and has a lot of interested people. “It should not take long,” Santella said, noting 323 will most likely again be a restaurant under new ownership.